Chinos get a bad rap. 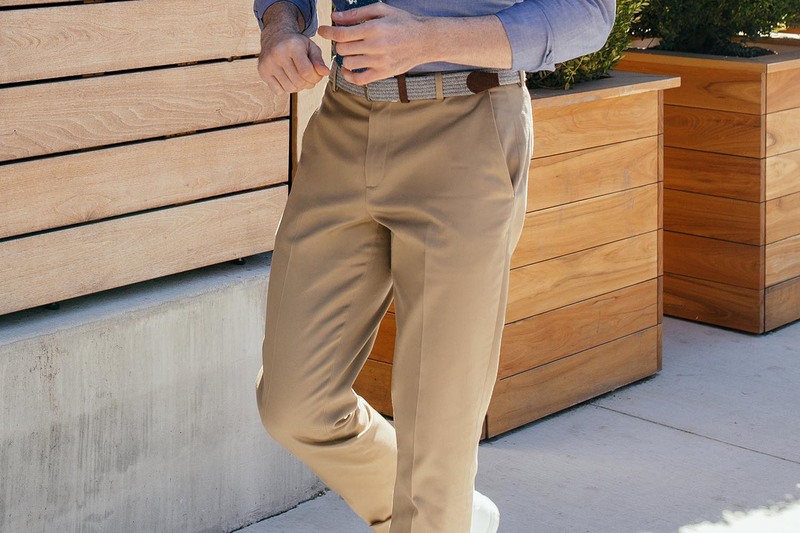 Comfier and a bit more casual than dress pants (but more elevated than denim), chinos are the perfect office attire and after-work drinks pants for the biz casual crowd. They’re your everyday pants, and The Tie Bar’s new range of chinos is that perfect mix of comfort, style and price (starting at $60). Don’t be fooled by the name: The Chicago-born The Tie Bar does ties very well, of course, but we’ve also lauded them for their made-to-measure suiting program and, recently a great new series of dress shirts (and those are three for just $140 right now, FYI). Plus, the site does a nice job suggesting what to pair with each of their wares (navy chinos work well with brown monk strap shoes). So now they’re doing wonders with said chinos. Available in a slim fit with a nice bit of stretch (it’s a 97% cotton, 3% spandex mix), the chinos come in three colorways (navy, granite, sand stone) — classic colors that go perfectly with pretty much any collared shirt you own. They feature a flat front with a trouser crease, front slant pockets and button closures on the back pockets. We got a look at ‘em a few weeks back before launch, and they’d easily be an everyday part of our wardrobe. Bonus: The pants are machine washable and no-iron. Available now, the no-iron chinos are just $60 each, a fair price for the pants you’ll be wearing pretty much everywhere for almost any occasion.